Think of Vacation, Think of Goa! Snow Park Goa / Blog / Think of Vacation, Think of Goa ! Everybody loves a vacation. Vacations help you to take your mind off all the worries and tensions and to relax after days of hard work. You need to get a break from the continuous loop of work day in and day out. A vacation, be it long or short, not only helps you to get back to your private space but also to maintain the most important relationships of your life. In this fast-paced life, almost nobody has the time to go on a vacation with friends and family. But now you can have the best time with your close ones at the most soothing and crazy place of Goa. Goa is the most exotic and fun-loving place you can ever find for a vacation. You can enjoy the beautiful summer breeze at both the popular destination hotels and resorts or at the natural beauty of beaches. You can party all night and day at the craziest rave parties or the beach parties were not inky, so you get to live in the exotic scenic beauty but also enjoy the cool breeze from the sea. Have you ever thought of enjoying snow in Goa? Well, you can now because we have come up with Snow Park Goa! Enjoy And Live The Experience Of Snow! We at Snow Park allow you to experience and explore the craziest entertainment activities which you may have never imagined you could! Snowpark has become one of the theme park in Goa because of our amazing features for snow sports. The snow used here at Snow Park is absolutely real snow. 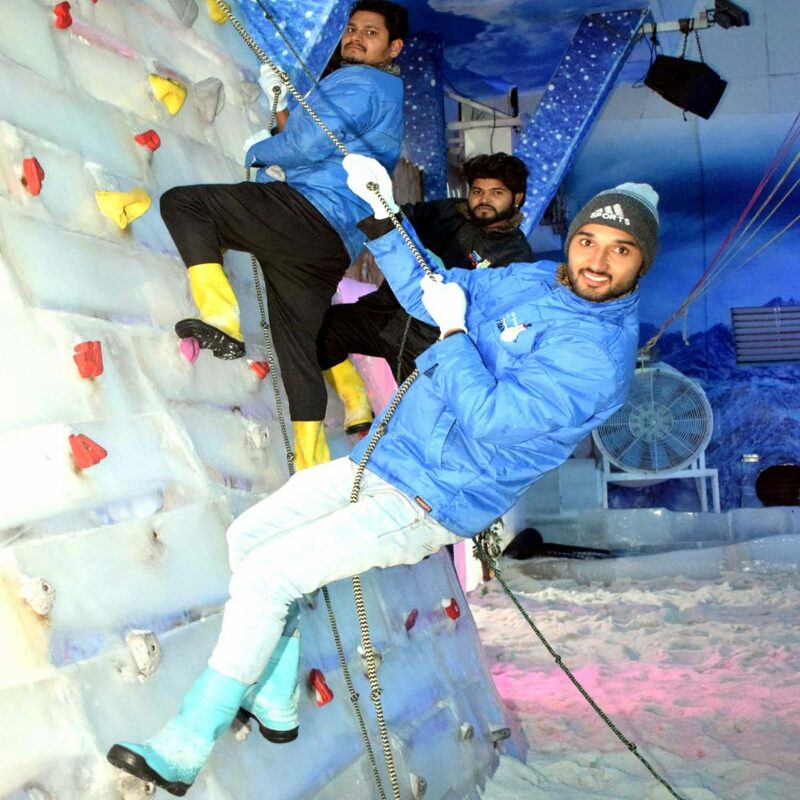 There is a variety of attractions here at Snow Park which you can enjoy and have a gala time. We serve a variety of foods, drinks, mind-blowing and thrilling rides and crazy snow sports. We at Snowpark fall in the top 10 places in Goa because of our service and dedication towards giving our customers an opportunity to spend their vacation that will be life-long remembered. Although Goa is known for its beautiful and sunny beaches during the day, during the night you can experience the enthralling feeling of being surrounded by snow and ice all around you at our Snowpark. Make Your Vacation Worth Every Penny! Goa is known for its eye-catching sunsets and sports activities in Goa are known to be one of the safest and best. It is a world-famous tourists spot because it gives you memories that get imprinted and carved into your life. The same way a visit to Snow park will leave you mesmerized to the fullest because we serve you with the best experiences you wouldn’t find anywhere in Goa. You can spend quality time with your family and friends in the cool and comfortable temperatures here at Snow park. Spend one day at our Snow park in Goa, and you will want to come here, again and again, to feel energized and refreshed after spending a warm sunny day at the beaches.